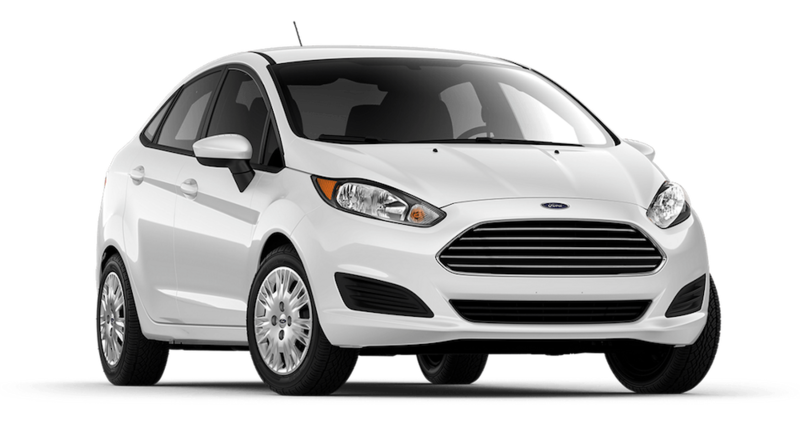 If you have been searching for a competitive subcompact car that can outclass all others when it comes to design and performance, you can finally relax, because there is no better than the 2019 Ford Fiesta. While some drivers swear by the notion that bigger is better, the 2019 Ford Fiesta offers a unique driving experience that is filled with a number of charming qualities that you will never receive from a larger vehicle. Due to its compact nature, the 2019 Ford Fiesta has the amazing ability to blend into your lifestyle with little to no effort. When it comes to looks, you can customize the 2019 Fiesta in nearly any way you want from a stylish sedan with vibrant colors to an efficient hatchback with classic simplicity. That being said, the inside is just as impressive with is cozy interior design, pleasing list of features, and shockingly efficient use of space. As far as performance goes, smaller vehicles are constantly in an uphill battle when it comes to overcoming their reputation, but the 2019 Fiesta is ready to fight back with 197 hp, effortless handling, and fuel efficiency that will save the earth while saving you money. The value is also beyond expectations starting at only $14,260 for a brand new model. The 2019 Ford Fiesta has more benefits than drivers would expect and it’s that surprising style and efficiency that makes it the top contender on the market when it comes to subcompact cars. 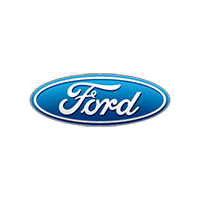 Drivers who enjoy thrilling city living and are looking for a 2019 Ford Fiesta in Cincinnati, OH will especially love the overall appeal of this classic car. When it comes to exterior appeal the first thing drivers should be looking for is a vehicle that represents them and their needs perfectly. The 2019 Ford Fiesta grants drivers the freedom to truly take its compact design and give it all the personal touches that will make it uniquely yours. Firstly you will need to choose between which of the two body types suits your lifestyle. The sleek and stylish sedan is always a classy option that shines when it comes to speed, length, and aerodynamics, but the bold and brilliant hatchback is all about efficiency and space for those who live life on the go. Depending on which of these you choose, the whole dynamic of the 2019 Fiesta can change, so just make sure you think carefully before saying which of these body types you think will match you. Along with the body, you will also have access to a plethora of color options in order to perfectly present yourself to the world. While color may not seem like a big deal to many drivers, it is the truest form of visual expression, and should never be overlooked when you have the chance. The 2019 Fiesta comes with ten color option ranging from classy to vibrant. The Lighting Blue is chilling, the Bohai Bay Mint is refreshing, the Hot Pepper Red is feisty, the Orange Spice is tasty, and the Outrageous Green is stimulating in all the right ways. Beside these one-of-a-kind options, there are also your more refined white, black, and gray tones, if you enjoy keeping things more subtle. There are also plenty of color options for the interior as well, for your cabin satisfaction. As for what can’t be personalized, the overall body is compact but is objectively appealing from every angle. The frame has a smooth and straightforward curvature, but the detailing is sharp and unexpectedly bold the closer you look at it. The lights, for example, mimic a passionate brushstroke of an artist as the flow from thick to a sharp point as they wrap around the frame of 2019 Fiesta. A vehicle is meant to be shown off so the world can witness who you are while on the road, and with the 2019 Ford Fiesta, you will be sure to make the best impression possible. When you look inside the cabin of a vehicle, you want to feel right at home, and in order to get the feeling, you will need a vehicle that has the style, space, and features to get you through the toughest of days. The dimensions of the 2019 Ford Fiesta measure to be only 160-174″ L x 68″ W x 57-58″ H, so it is important that every inch be utilized seamlessly. While the 2019 Fiesta does offer a stylish and cozy sedan model, those looking to maximize the efficiency and space of their cabin will defiantly find that the hatchback model is the way to go. Offering 25.4 ft³ of cargo space with the rear seating folded down, you will have just enough room for that sudden shopping spree, or a trip to the beach. When it comes to the interior cabin though, you will also want some high tech features to keep you safe and entertained. To start, Ford’s signature SYNC 3 infotainment system is the latest model of touchscreen and voice-activated technology that will keep you connected to everything from people to your driver environment. If you link this system with your personal smartphone, the possibilities are endless, including Alexa by Amazon. You can receive and make hands-free calls and texts, access your favorite apps, play your own music, and access the Ford app for on the go vehicle monitoring. This system also is the hub for a large portion of your advanced active safety features that will alert you to anything potentially harmful that is going on in the front, back, or sides of you with sensor technology. With this technology, you will be more alert, and this will not only protect you from collisions but prevent them from ever happening. The 2019 Ford Fiesta doesn’t want just to impress you with its cabin; it wants to completely blow all your expectations away with every new thing you discover within its comfortable and modern interior. When you look at a compact vehicle that is designed to fit into small spaces and cost less than $15,000 brand new, it is natural to have your doubts about what kind of power it can possibly offer, but the 2019 Ford Fiesta most definitely loves to surprise. When it comes to performance, the 2019 Fiesta offers two brilliantly manufactured engines that are Ford-grade powerful, and ready to show that great things really do comes in small packages. The first option is a reactive 1.6L 4-cylinder engine that comes standard for not a cent more with the 2019 Fiesta S and SE trim. This engine offers a respectable 120 hp and 112 lb-ft of torque for nimble speed and acceleration that matches the top performance of other vehicles in its class. The second option that comes standard with the 2019 Fiesta ST (the top trim level) is a 1.6L turbo 4-cylinder engine. This option delivers a stunning 197 hp and 202 lb-ft of torque that can easily dominate any other model on the compact vehicle market. Both of these engines can come paired with a manual or automatic transmission in order to suit your personal driving style. That being, power is not everything when it comes to performance, although the 2019 Fiesta has plenty of it. The most impressive aspect when it comes to the performance of the 2019 Fiesta is its seamless handling that makes getting around in the most crowded streets in Cincinnati, OH a breeze. No longer will you as a driver have to fear of parallel parking or hitting something as you always have complete control due to the compact frame of this tiny beast. At Kings Ford, we can guarantee three things. The first is that we guarantee we can find you a quality vehicle that will suit your lifestyle and budget. Our lot is filled with a versatile selection of vehicles that are assured to be of the highest quality and always ready for a satisfying test drive. The second is that we guarantee that our service will ensure your overall satisfaction. 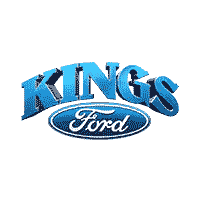 Our service at Kings Ford is always catered to the specific driver as we take the time to get to know your automotive needs on a personal level. Our informed and resourceful staff is always ready to answer questions or assist you on your journey so that you can be guided to your ideal vehicle in the fastest and most efficient way possible. The third and final thing we guarantee is that every driver will be respected. This may seem like a given, but we at Kings Ford want drivers to know that they are respected during this process. This respect comes in many forms, but the main things we provide are transparency, modesty, and an overall friendly demeanor. So if you wish to test these guarantees for yourself, please come by and let us show you what a truly satisfying car buying process can feel like.